Meet Star, a sweet bouncy, happy playful girl. Star is always ready to play and loves to bounce. Star has alot of drive and is running seasoned level blinds and doubles. We hope to have time to run her in the spring or fall of 2019. We purchased Star from a good friend of ours, SageCreek Kennels and are overjoyed to add her to our kennel. Star enjoys lounging in the house on a rainy day and out playing when its nice outside. Star has a nice on/off switch and really shows it in the field. 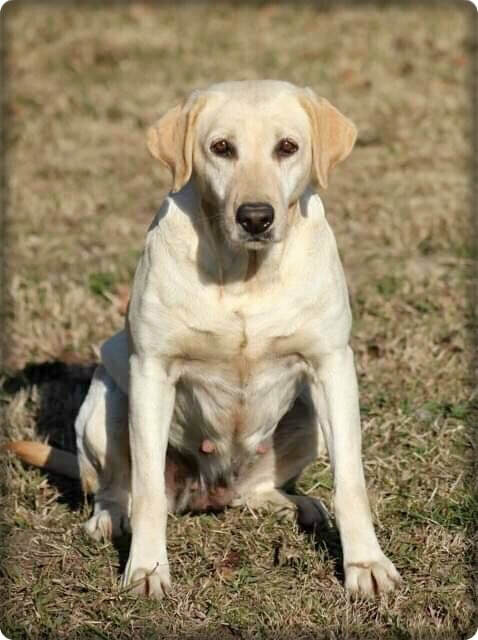 Look for this girls offspring soon, she is a proven producer of very nice well rounded family and hunting companions, with several pups running hunt tests.